The average person spends over one-third of their life in bed. This means that if you’re suffering through the night because of spinal stenosis, over a third of your life is ruined. To make matters worse, a poor night’s sleep can throw your entire day out of whack. Thankfully, there are lots of options for getting a better night’s rest even with spinal stenosis. Mattresses for spinal stenosis do exist and can help you get a more comfortable night’s rest. What’s more, is that getting a good mattress can even help alleviate other problems like insomnia or snoring. There are lots of different mattresses out there that you’ll have to sift through. This guide will help you choose which is best for you, and which ones you should avoid. You also need to think about personal preferences once you’ve picked out which mattress you’d like. Picking a mattress blindly can end badly if you have spinal stenosis. Depending on how you sleep and the kind of mattress you have, you could even make your condition worse. So read on and find out how you can get the best mattress for your needs. For someone with spinal stenosis, the best kind of mattress is a firm memory foam mattress. Memory foam conforms to the shape of the body and relieves stress on pressure points. Innerspring mattresses do not conform to the shape of the body and actually put stress on the pressure points. To make matters worse, cheap innerspring mattresses have coils that get old and give way after a short time. This leads to sagging in the middle of the mattress, which can worsen spinal stenosis. Latex beds, which are made from tree sap or synthetic materials, are a close second for someone with spinal stenosis. They are firm, and cradle the body like memory foam, and do not give way easily due to their durability. If you suffer from a spinal condition and your partner doesn’t, sleeping can be harder. In cases like this, the best thing to do is to invest in a split mattress. Split mattresses are exactly what they sound like. One side is custom designed for one person, and the other side fits your partner’s needs. In cases like this, you and your spouse will have to settle on a type of mattress. Finding a split mattress made from two separate materials like one-half latex and the other memory foam is possible, but tedious. You would be much better off using pillow toppers and other things to customize your half of the bed to your liking. Split mattresses come in the usual variety of sizes as usual like king-sized, queen, and twin. A king-sized may well be your best bet since it gives you and your partner the most space on both your sides. Not all mattresses are made equal, and you should avoid certain kinds of mattresses altogether. Most cheap mattresses look and feel good when you first start using them, but they can degrade quickly. This degradation can speed up any spinal degeneration, and leave you in a worse state than before you started out. An air mattress is good for overnight guests, but not so much for your back. In fact, if you are an overnight guest, you may be better off avoiding air mattresses altogether, especially if it’s old. Old air mattresses can let air out as the night progresses. If you find this happening, you may well end up sleeping on the floor come morning. Even if it is new, air mattresses weren’t meant for long term use. Prolonged periods of time on air mattresses can throw your spinal alignment off and make you toss and turn. Most feather beds are too soft to be any good for your back. Sinking into the mattress can also cause your spine to be thrown out of alignment. However, a feather bed reverses the usual process and causes your spine to bend too far in a direction, just like an excessively firm spring mattress. It’s also best to avoid feather mattresses if you could be allergic to any of the down used to fill the mattress. Some mattresses are great for your back but can make you uncomfortable in other ways. Some memory foam mattresses can cause an accumulation of body heat, causing you to get warmer than you’d like when you sleep. This is because memory foam absorbs heat and traps it really well. Some memory foam mattresses come made with material that helps make them more breathable, although more expensive. The right mattress topper can negate this effect almost completely. If you choose something like wool a topper, the wool will help disperse the heat in your mattress. A phase changing gel covering can also help absorb heat and transfer it away from you. Before investing in new mattress toppers, there are other things you can try. Using more breathable sheets or blankets can allow excess heat to flow out, but retain the heat you do want. Changing your pajamas can also help heat escape your body more easily. Changing to sheets made of bamboo and cotton can also ensure a cooler night’s sleep. When choosing the right mattresses for back pain, you also need to choose a bed suited for your sleeping style. It’s best to choose memory foam or latex mattresses because they are well suited to side sleepers. Sleeping on your side with your knees up is best because it relieves pressure on the nerve bundles most commonly associated with spinal stenosis. If you do sleep on your back, having an adjustable bed that will allow your upper body to be slightly elevated relieves pressure on the part of your spine affected by spinal stenosis. Adjustable beds pair well with types of mattresses for back pain and getting ahold of one and a memory foam mattress can melt your pain away. If your bed isn’t adjustable, consider sleeping with a stack of pillows at your back. Sleeping on your belly is not recommended if you have spinal stenosis. This puts pressure on the sites where the spine is already narrowed. Pillows matter just as much as the mattress when it comes to spinal alignment. Sleeping on a pillow is much better for you than sleeping without one. Sleeping with a pillow also keeps your spine in a natural alignment. You should also consider using a pillow for other parts of your body to keep your spine aligned. If you are a belly sleeper, putting a pillow underneath your hips and belly can alleviate a lot of the tension on the nerve bundles affected by spinal stenosis. Placing pillows behind you when you sleep on your back can also take some of the pressure off your nerves when you sleep. Memory foam pillows also cradle your head and make sleeping much easier when compared to cotton or feather pillows. Make sure the mattress you choose has a long warranty and trial period. A mattress may seem good in the store, but as you lay on it night after night, it may lose its luster. Many mattresses have trial periods of up to 120 days. This gives you ample time to see how it fits into your lifestyle and how it can affect you. If you’re usually a side sleeper and you or your partner find yourselves sleeping on your back, this may not be the right mattress for you. Especially because sleeping on your back or belly can worsen snoring and sleep apnea. Most decent mattresses cost a few hundred dollars. The best mattresses for someone with spinal stenosis would be one that lasts a long time. Memory foam mattresses that have are CertiPUR-US® Certified are made of good quality materials that will last several years, and are recommended for anyone with spinal problems in the market for a new bed. However, they can be expensive, as some of them can cost almost a thousand dollars. While that may be expensive, you should remember that these mattresses are designed to last for decades without breaking down. If you do get a cheaper memory foam mattress, this can cost you more in the long term. Many of the cheaper varieties have memory foam that isn’t very good quality. These low-quality foams break down quicker, and stop cradling your pressure points and leave you feeling uncomfortable, possibly worsening your spinal stenosis. One of the best ways to get a good night’s rest is to make sure you’re tired before going to sleep. If you have a low-intensity job, it can be tempting to go to bed and just chill out. However, going to bed before it’s time to sleep is not a good habit. If you take a nap before you go to bed, this can make it a lot harder to sleep later. Staying up into the wee hours of the night and falling asleep then leads to a lot of tossing and turning. If you have a spinal condition you want to avoid moving around too much while you sleep. Tossing and turning at night can worsen your back pain due to the shifting angles and make you feel even worse when it’s time to wake up. The best way to counteract this is to exercise before going to bed. Making sure your body is tired before is a good way to ensure a deep and peaceful sleep. Plus there are a lot of exercises especially good for people with spinal stenosis. Just make sure not to exercise too close to bedtime, because the endorphin rush can make it harder for you to fall asleep. Good mattresses for spinal stenosis is paramount to your future. You’ll most likely be spending a pretty penny and the next few decades on this purchase. That’s why it’s important to test out any mattress you’re considering buying before you buy it. If you aren’t comfortable spending fifteen minutes on it, don’t buy it. Mattresses are important not just to your physical health, but your mental well-being also. Having a good place to rest can also affect how well you recover from illnesses. And, most people tend not to leave their beds too often when they’re sick if they can avoid it. Having a good place to recover can help with the healing process. It’s why hospitals spend so much buying and maintaining good beds. Once you have a good mattress, you’ll be well rested, rejuvenated, and ready to take on the day. However, you still have problems sleeping at night because you or a partner snore or have sleep apnea, consider getting help. 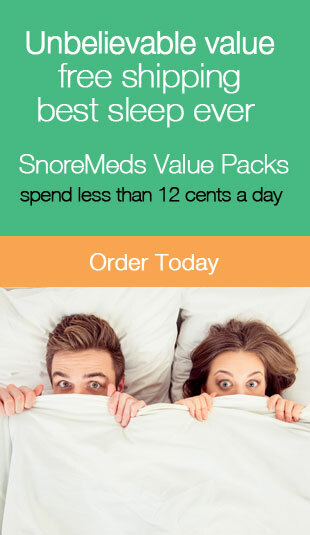 Snoring and sleep apnea are caused by difficulties breathing, and you can check out some sleep aids here, to get you the sleep you deserve. As always, we hope you found this article “Which Mattress Should I Buy? : The Best Mattresses for Spinal Stenosis” both informative and entertaining. If you did, may we ask that you share it with your friends and family through social media. It really helps us a lot and is greatly appreciated! On how the right choice of mattress you make depends on how fully you relax and be able to productively spend working time.